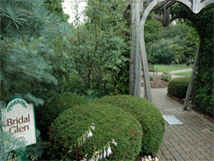 The Bridal Glen, located in Foster Park, is the choice of many brides, with it's arches, trellises and gazebo all nestled among the colorful floral displays in Foster Garden. The Bridal Glen may be reserved in two-hour increments beginning as early at 8 am (Saturday/Sunday) and at 2 pm (Monday-Friday) and up to one year in advance and cost $50. Call 427-6000 to make your reservation or you may make your reservation on-line. 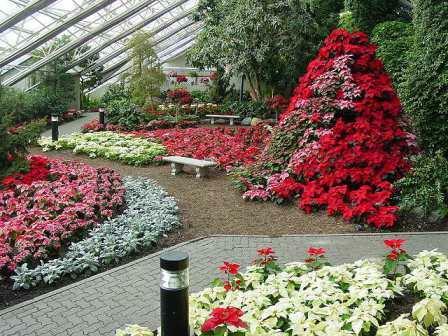 The Botanical Conservatory, located in the heart of downtown Fort Wayne at 1100 S. Calhoun St. is a popular site for wedding receptions, dances and other festivities as well as business meetings, conferences and seminars. The Friday/Saturday full facility rental includes three gardens, the Magnolia Room, the Orchid Room and a spacious lobby. Smaller space rentals are also available at off peak hours. Call 427-6444 for reservation information. 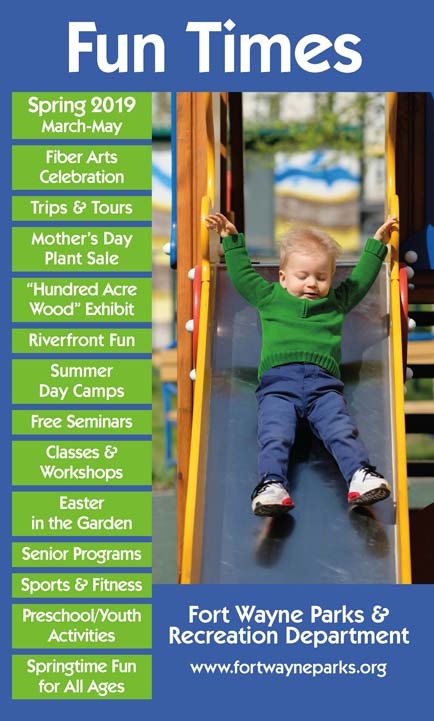 Generally, the spaces available for rent in Promenade Park are the Park Foundation Pavilion (inside and outside), Auer Lawn and Sweetwater Band Shell East, Old National Bank Plaza and Sweetwater Band Shell west, and the historic Wells Street Bridge. 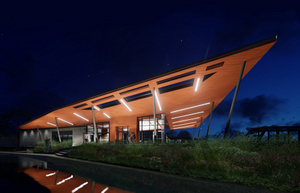 The only space that is entirely covered, and therefore weather-proof, is the indoor portion of the Park Foundation Pavilion. The indoor capacity of the Park Foundation Pavilion is around 150 people seated at tables and chairs. Capacity decreases with the addition of amenities, such as music, buffet tables, podiums, décor, dance floors, etc. All event layouts must be approved. All alcohol is provided by Trubble Brewing. All food, except celebratory cakes, must be provided by a vendor on the approved catering list. All events with alcohol require security that is scheduled by Parks and Recreation staff. The Community Center at 233 W Main Street offers flexible space for receptions, reunions, meetings, performances, dances, office parties, seminars and more. The Center is audio-visually equipped. Alcohol is permitted at the Center and there are no restrictions on catering. Call Billy at 427-6463 for details and the full range of options. 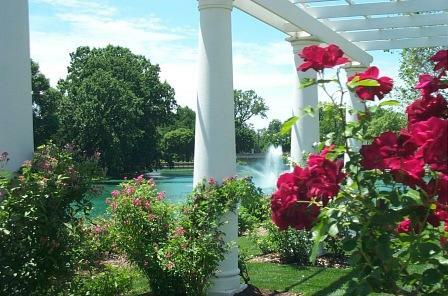 The pavilions at Headwaters Park are available for public rental and makes a wonderful setting for weddings, receptions, company picnics and family reunions. 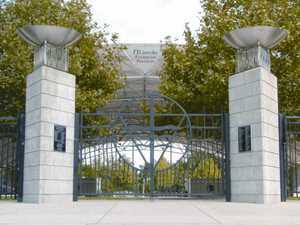 For more information or to book Headwaters Park for your special event, please contact Geoff Paddock at 425-5745. 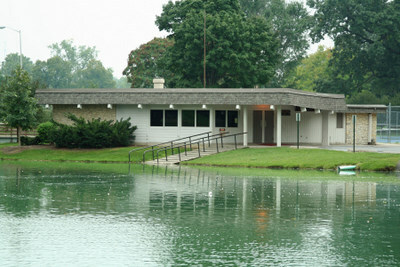 The Fort Wayne Parks & Recreation Department rents Pavilions for your Wedding and/or Reception. For information on Pavilions check out the Pavilion page. 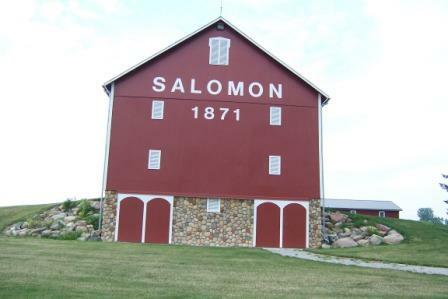 The Salomon Barn, originally built in the late 1800's, is newly renovated structure featuring a large seating area for up to 170 persons and a separate room for the catering operation. A separate but adjacent building houses the restrooms. The Old Barn may be reserved from Mid-May-Mid October. Check out the web page for pricing and other details. For more information or to reserve the Old Barn for your event, please call 260.427.6000. The Wolf Family Learning Center is NOW AVAILABLE for year around rentals (except for June/July). Check out the Salomon Rental link to learn more. 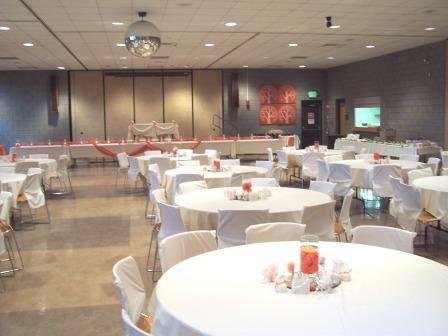 The McMillen Park Community Center is the perfect place for your reunion, party, basketball tournament, conference, meeting, wedding reception or other event. We have a variety of room sizes depending on the needs of your group. Please contact McMillen Staff at 260.427.2420 for additional information or to tour the facility.